My name is Noble, and the name certainly suits me. I’m regal and distinguished, with an aristocratic air about me. Until you start scratching my ears and stroking my back – then I turn into a goofy cuddle bug. But the rest of the time, I’m noble and reserved, truly I am. I’m one of the larger cats here at the HSCC, and I know it; I don’t throw my weight around, but I don’t let anyone push me around, either! I’m calm and affable, and there is a quiet, subtle charm about me. 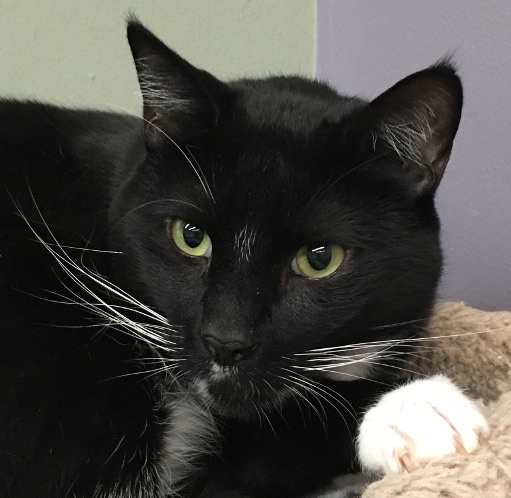 I enjoy the company of people and am a sweet, affectionate boy who would thrive in a loving household.